Any area that has flowers is likely to have a large supply of honey bees to go with them. These bees build hives in the wild, where they live, raise their young and produce honey comb and honey. That sweet honey has long been a staple in the human diet, which has led many people to learn to raise bees themselves and take advantage of a captive honey supply. To harvest your own honey, set bees up in a hive and get started. Keeping honey bees will give you your own personal source of honey. Order a beehive from a specialty store or online retailer. A hive will come equipped with an open area for the bees to build their combs, and several drawers that you can pull out to access the honey. Ordering a hive that is professionally built will ensure that you have one suited to the needs of bees. Set the beehive up in a quiet spot that is removed from your home. Keep in mind that the bees will be concentrated in this spot; it is healthier and safer for them to have minimal contact with humans. 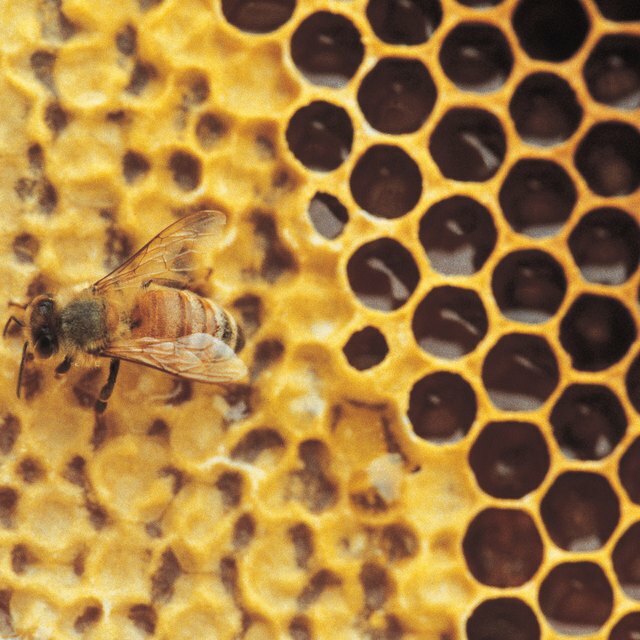 Order a package of bees from a local beekeeper or online retailer. A package will come with worker bees, a queen and a can of syrup for the bees to feed on during their trip. The queen will be housed in a separate box, and should be kept separate for the time being. Don protective gear and transfer the bees to the hive. Pull out the queen's box and put it into the hive first. Then "dump" the worker bees on top of her. Don't worry about how many bees make it into the hive; some will inevitably fly out of the package. These bees will find their way into the hive once they settle down. Check the hive after two days. The queen should be out of her box and interacting with her drones. You will probably find her walking along one of the combs. Check the hive again a week later. You should see white wax combs inside, with cells that contain syrup and eggs. This means that your hive is established, and the bees will take care of themselves. If you don't see eggs, assume that the queen is dead and order another. Keeping bees in your garden will increase the pollination for fruit, vegetables and flowers. Stun bees by blowing smoke into the hive when you're collecting combs and honey. Swarming bees can be dangerous. Always wear beekeeping gear when you're handling bees.